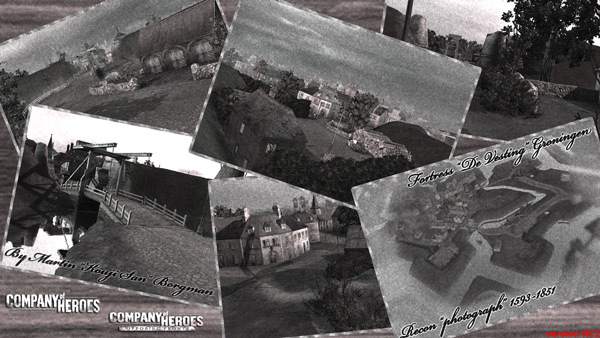 Existence Unknown, News: Company of Heroes Bourtange! 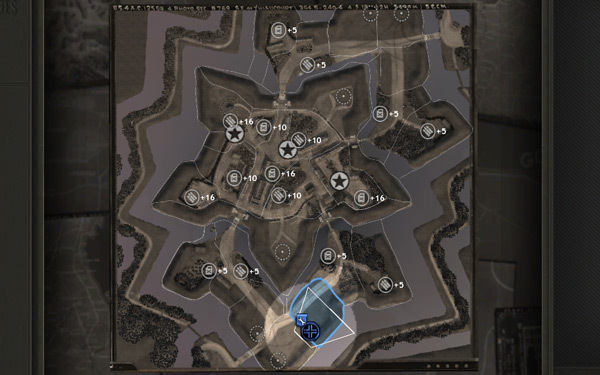 Just last week I started work on a Company of Heroes map. The task at hand for me was to learn a map editor from scratch. True, I've doodled around in the Worldbuilder some. But never got past putting down a building and placing some textures, only to quit the program because I didn't know how the interface worked. It wasn’t after checking up on a few video tutorials on YouTube, made by Lolto over at www.omgmod.org, I picked up the Worldbuilder basics pretty quickly. After watching the video's and keeping them on the side for later on, I saw how intuitive the interface of Wordbuilder actually is. 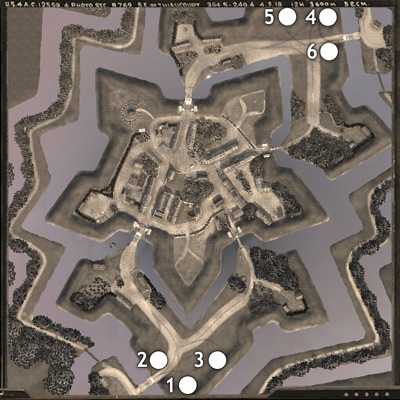 And as a result learned the editor, created and finalized my first 6 player Company of Heroes map in a time span of about 10 days. The map is based on a medieval fortress up north in the Netherlands called Vesting Bourtange. I renamed it Fortress Groningen, because it isn't a 100% recreation of the fortress due to gameplay related issues it would have. The fortress is shaped like a pentagram (starshaped) and has two vehicle bridge that lead into the fortress. It also has two infantry bridges as well, unlike the real fortress. Furthermore I've tried to tie in the resource sectors in such a way that both teams can have the same amount of resources if they own half of the fortress. Tanks will have lot’s of trouble when trying to maneuver inside the fortress, this is because the roads were designed back in the day for horses and carriages. The map is already up to a RC2 version. The RC1 version file on the site was corrupted and I had to reupload it. I took the opportunity to add in a few more weather options and fix a few issues with the minimaps and loadingscreen for version RC2. There's both a SGA and SGB file, the SGA lacks the weather options, but is easier to install (just one file). The SGB file has more files to copy, but you do have the ability to have a choice between 4 weather options! Mind you, that installing both versions can get confusing ingame, both share the same name and will also show up together in the maplist!